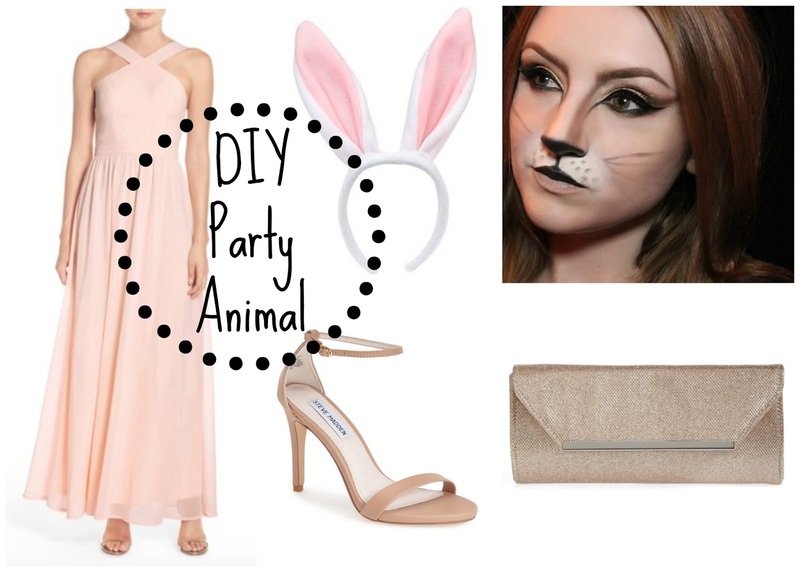 Party Animal - What you need: Bunny ears, formal dress, heels, face paint, champagne glass, and clutch. 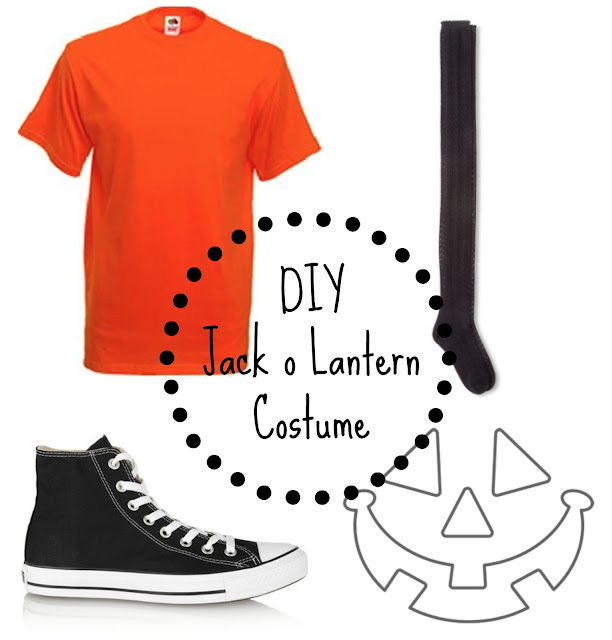 Jack o Lantern - What you need: Oversized orange t-shirt, Jack o Lantern stencil, black paint, black knee high socks, and black shoes. 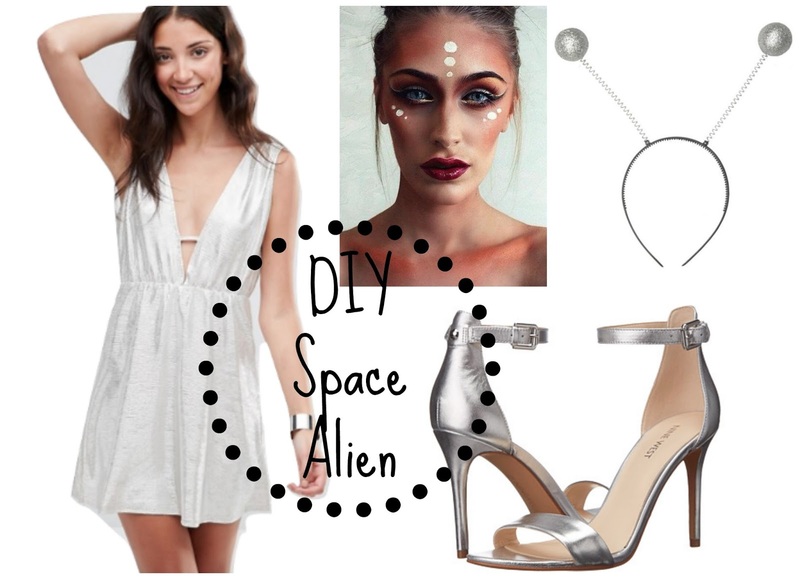 Space Alien - What you need: Metallic dress, makeup, headband, and metallic heels. 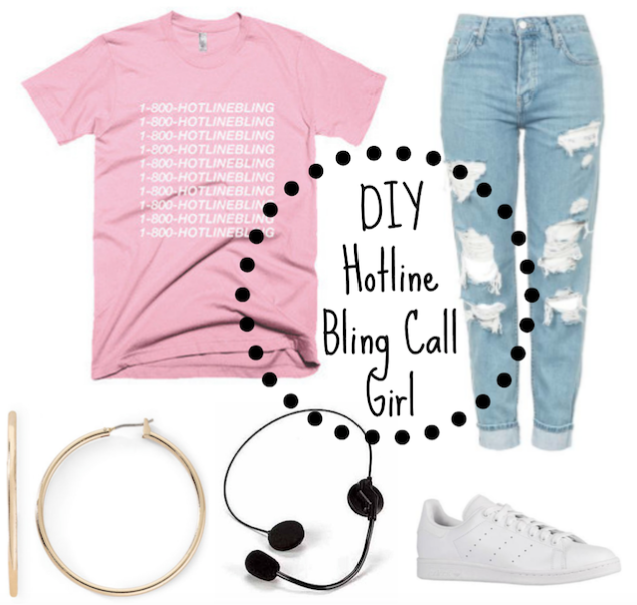 Hotline Bling Girl - What you need: Hotline bling tee, ripped jeans, microphone headset, hoop earrings, and sneakers.